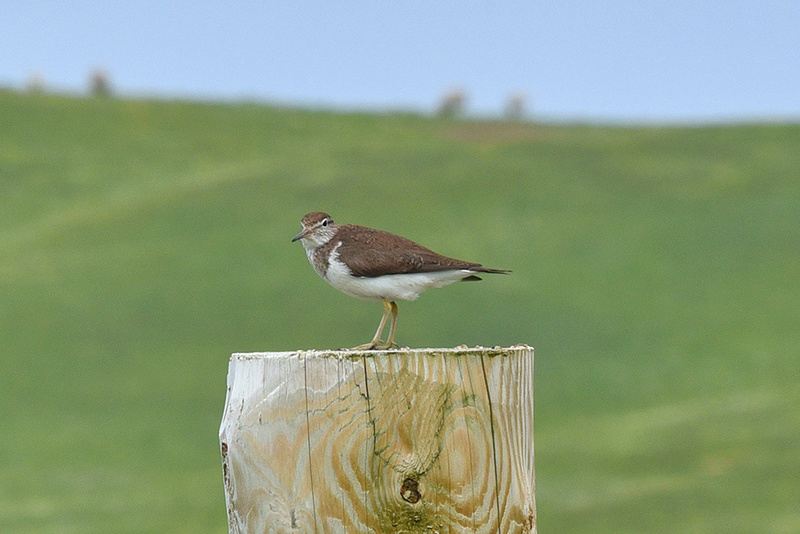 Another view of the Common Sandpiper sitting on the fencepost, this time it has turned its head as it was carefully watching me. This entry was posted in Cloudy Weather, Landscape, New Post, Wildlife and tagged Common Sandpiper, Islay, Kilchoman, Machir Bay, Rhinns of Islay by Armin Grewe. Bookmark the permalink.